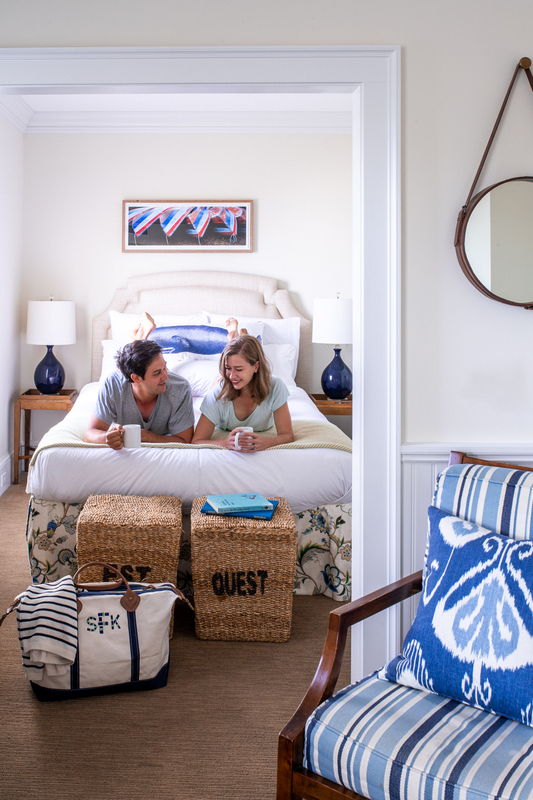 The first time I brought David to Nantucket in February 2013 we stayed at The Nantucket Hotel, walking the frozen beaches, cozied up reading in our room, and rubbing shoulders with locals at the handful of restaurants that are open in the off-season. 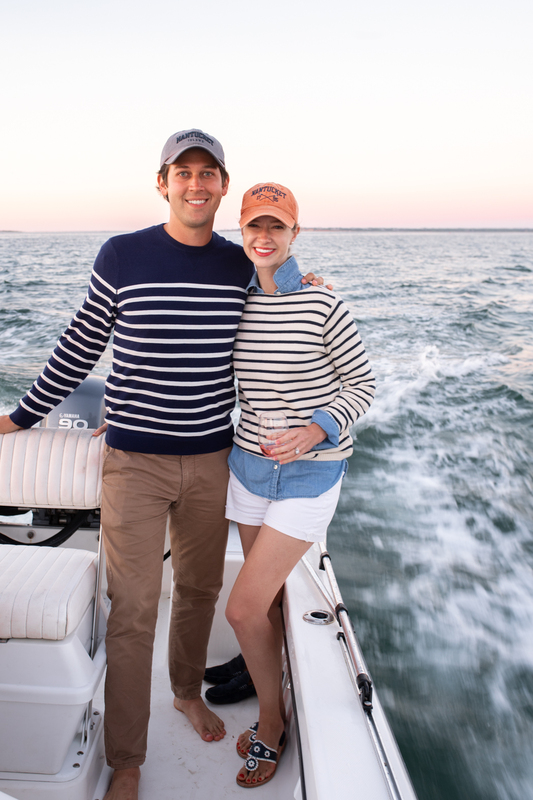 As a result, the Nantucket has always conjured the sweetest memories from our early dating days and held a special place in our hearts. 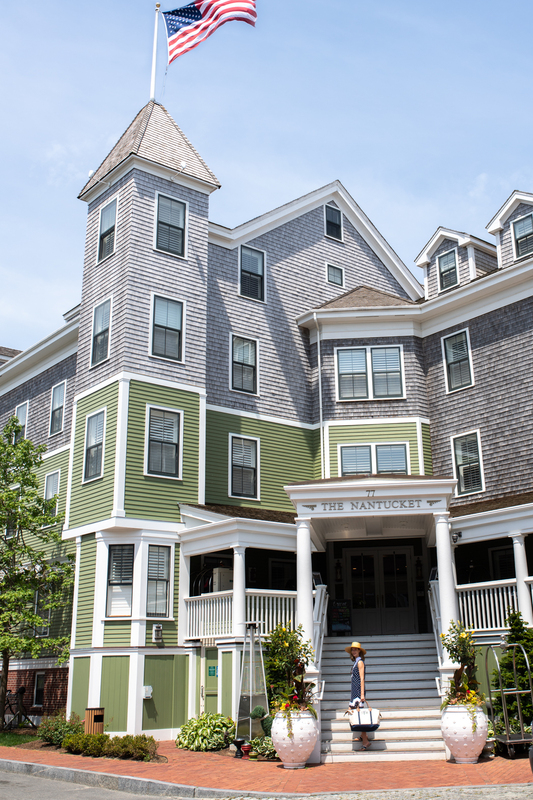 If you can fall in love with a place when it’s 11 degrees, imagine the joy of returning with sparkling blue skies and the cobblestone lanes in full bloom! 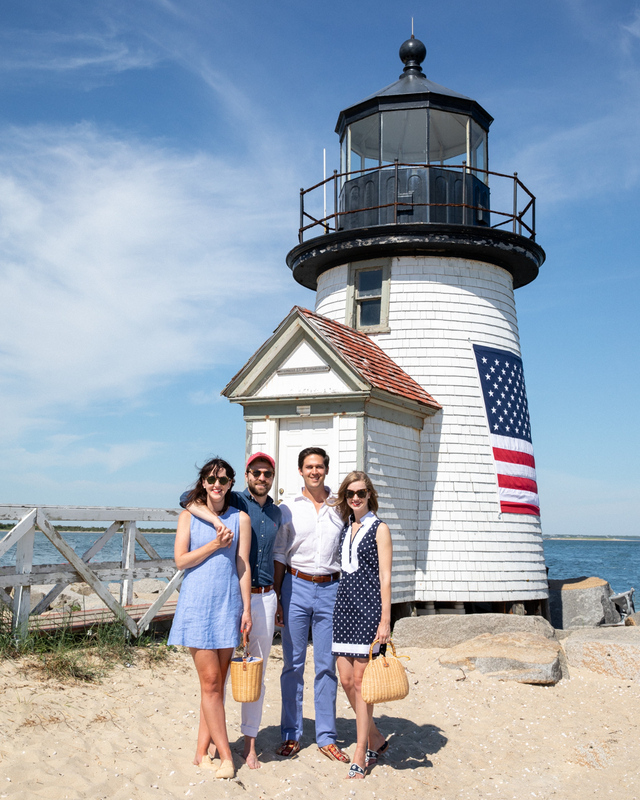 This summer we kicked off two weeks on our favorite island with a stay at The Nantucket alongside friends Jackie and Paul. 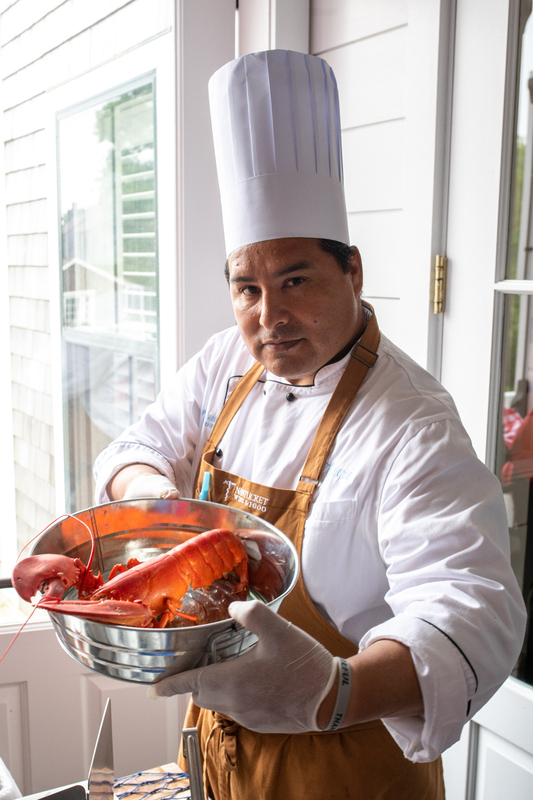 I was happy as a clam to attend the hotel’s inaugural summer clambake and crack our first lobster of the season. 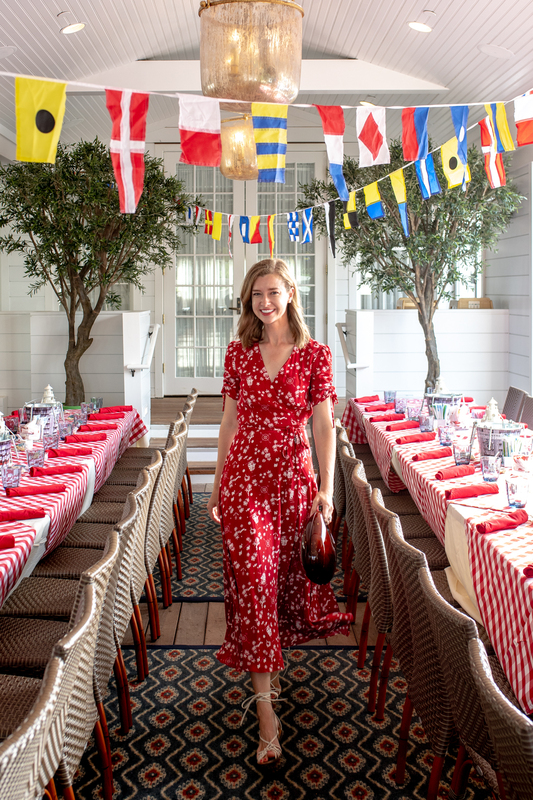 The hotel hosts many of the island’s best social events including a weekly clambake every Monday night throughout the summer. 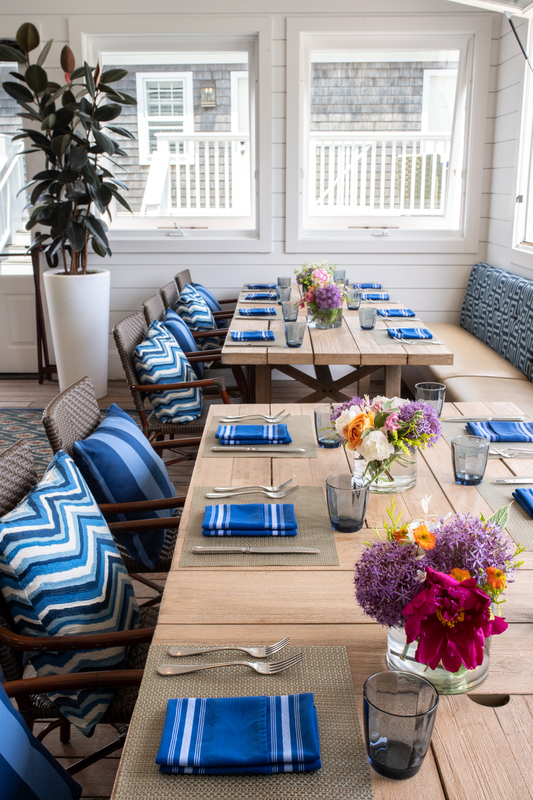 Their team goes all out transforming their Breeze restaurant with their signature cheery coastal decor and incredible seafood spread. 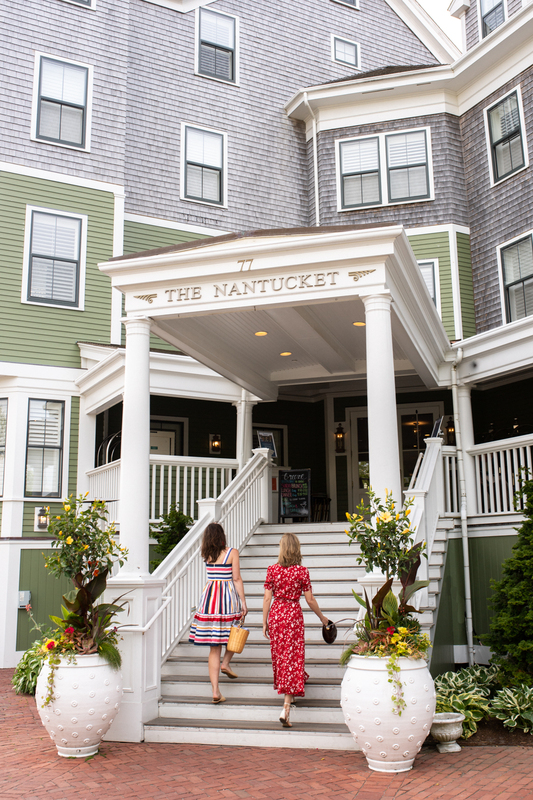 Nothing The Nantucket does is half-baked, from their spacious suites to thoughtful and smiling staff, it’s no wonder they’re the #1 hotel in the United States on Trip Advisor! One of my favorite things about their location is the short walk to local landmark, Brant Point Lighthouse. 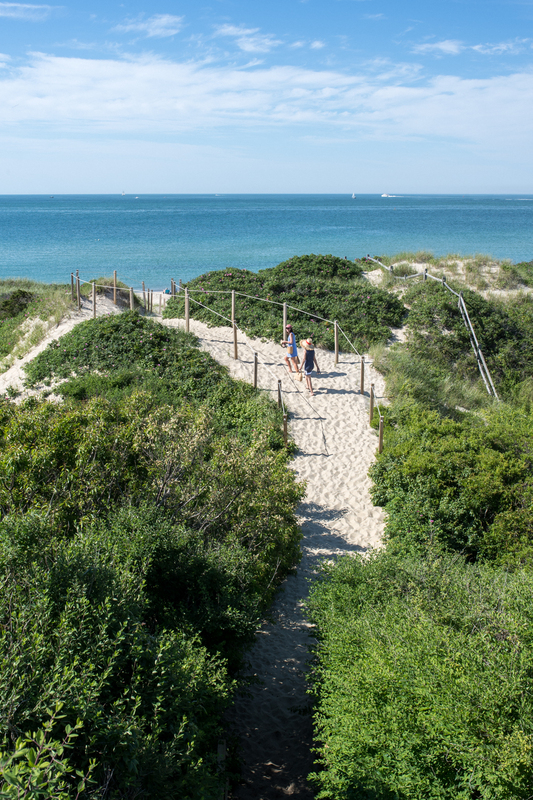 It’s always our first and last look at the island from the ferry and well worth a visit on foot to mingle with the sunbathers and fisherman that congregate on the little stretch of beach. While all of town is within a short walk, this was the first time we brought our car on the island, and loved the freedom it gave us to explore. 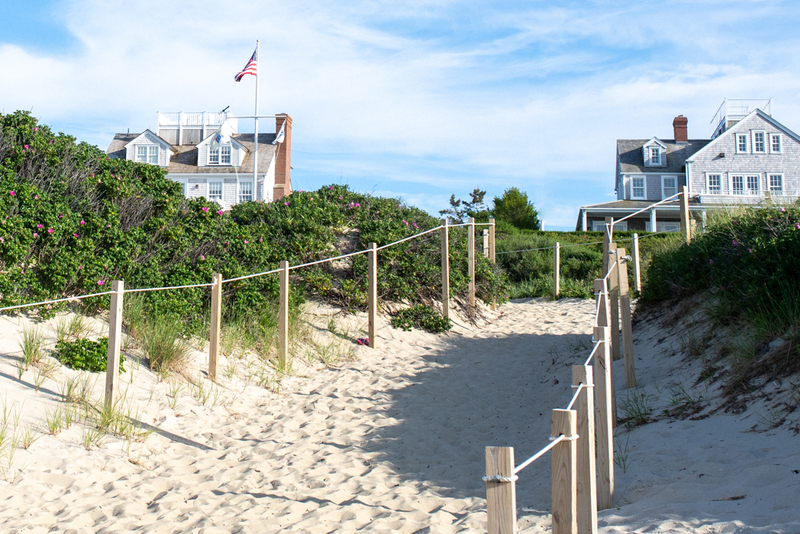 From drives to Sankaty Lighthouse and beach days at Steps Beach and Miacomet we had a blast, cruising the island from end to end with the wind in our hair. 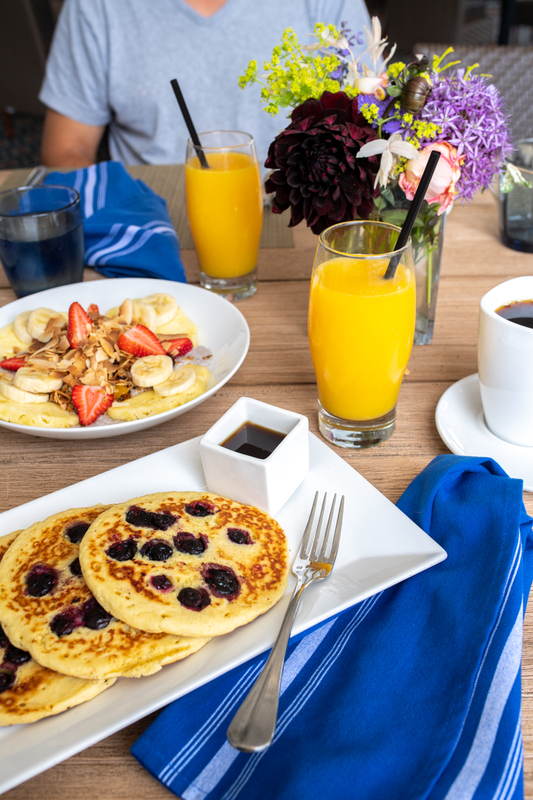 If you’re heading out for a day around the island you can pack the perfect picnic by visiting two shops within walking distance from the hotel: pick up a sandwich and cookies from Something Natural and bottle of rosé from Epernay! 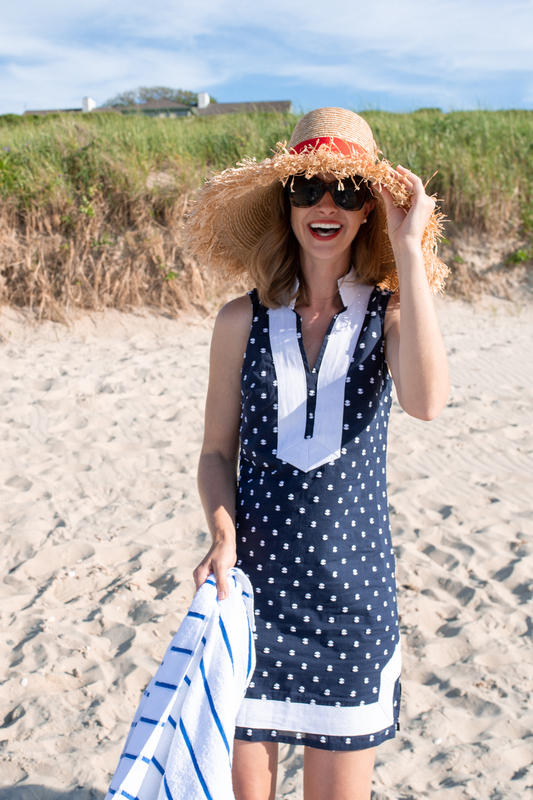 I am building up a collection of these classic tunic dresses and love this navy style with white clip-dot embroideries! 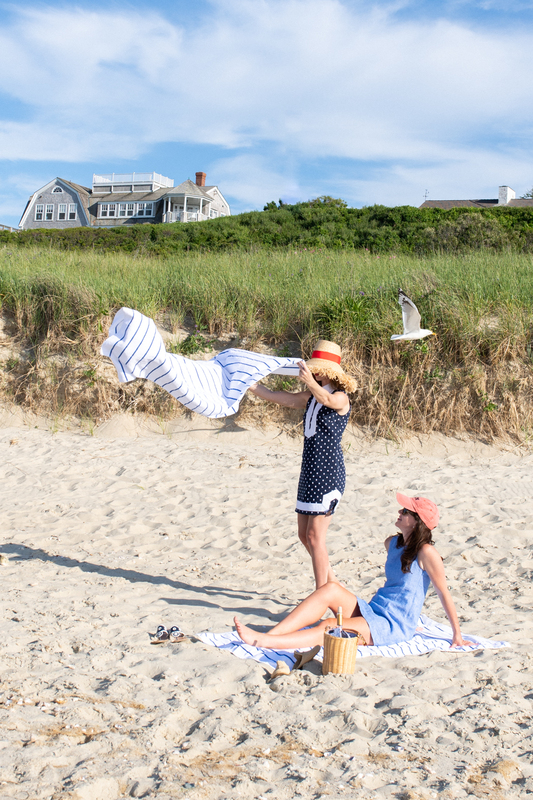 These effortless tunics are perfect for summer days when you don’t want to change repeatedly, since they feel equally at home on the beach as they do at lunch. 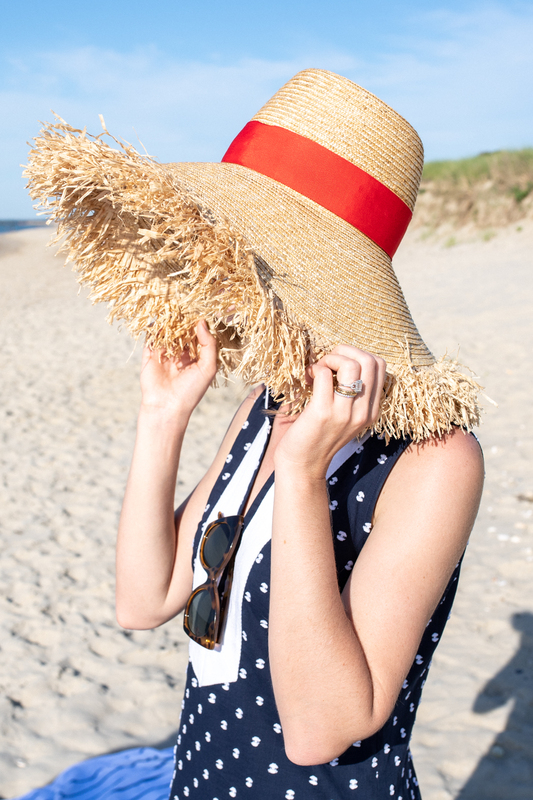 Pair with a straw bag, jacks and a classic red lip! 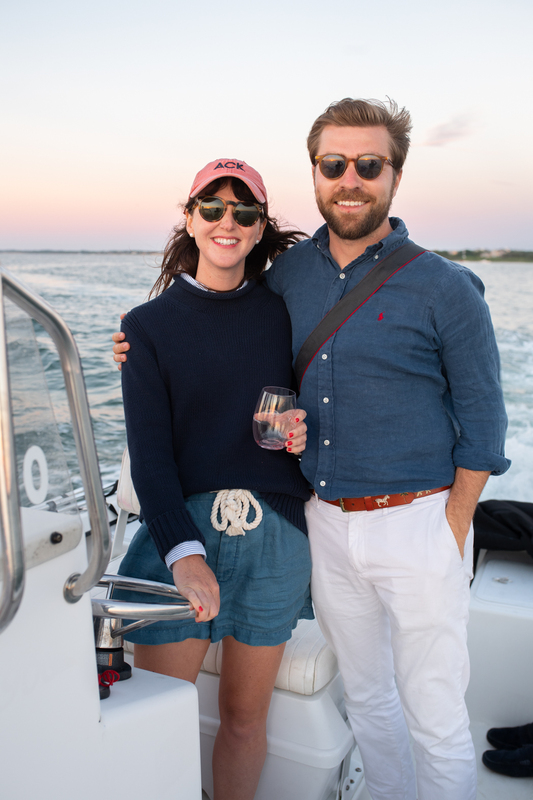 I saved our most Nantucket-y clothes for the night of the clambake and I love how our outfits compliment each other as a couple. 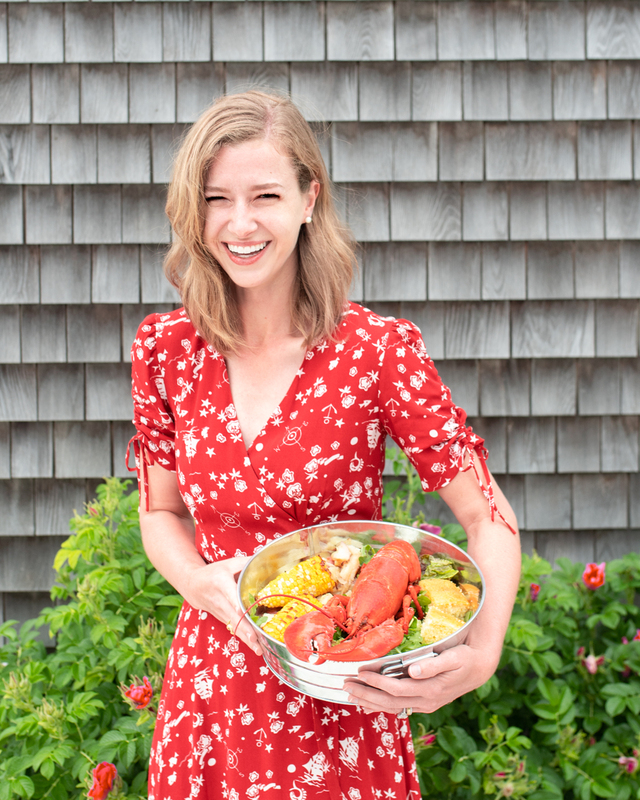 David’s shorts are covered in lighthouses (now on major sale) and this dress has tiny ships, stars, and anchors all over it (sold out everywhere, except I found a size 2 here)! 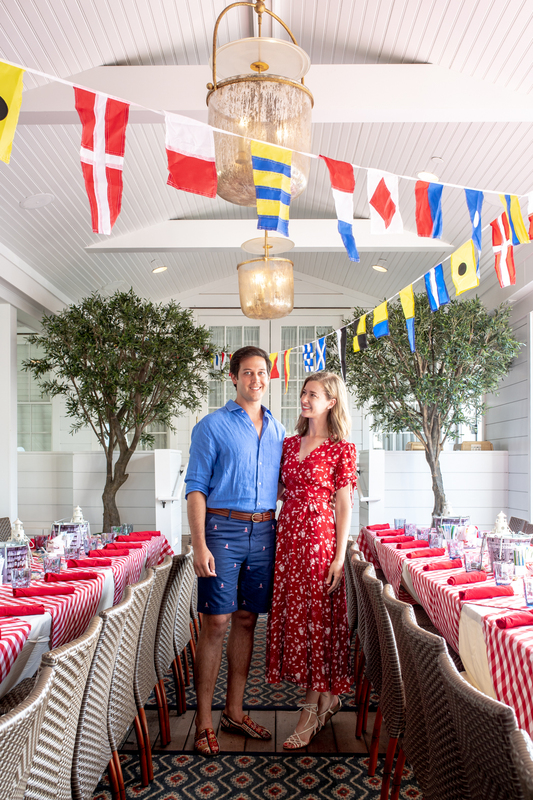 Nantucket is THE place to wear critter shorts and David’s pair are perfect for Labor Day barbecues, especially when paired with this bright blue linen shirt which looks great against a summer tan. 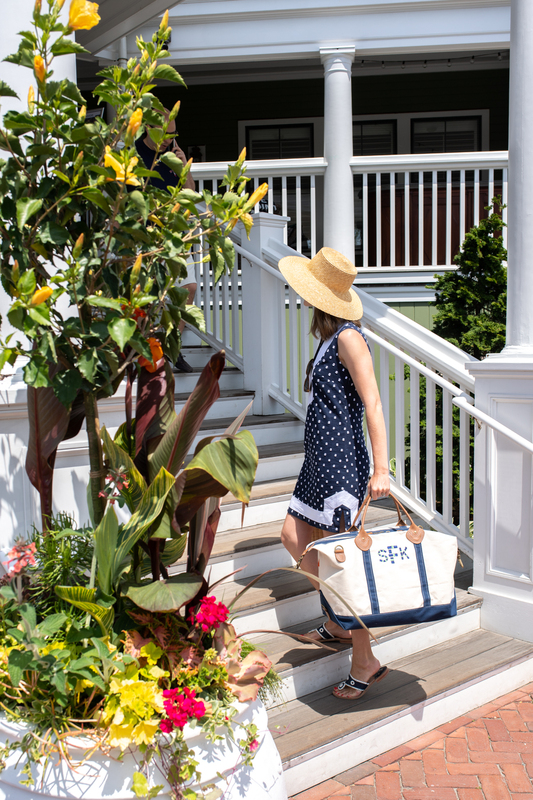 This picture features two of my favorite travel essentials, these super soft Lake Pajamas and this monogrammed duffle by Monogram Mary. 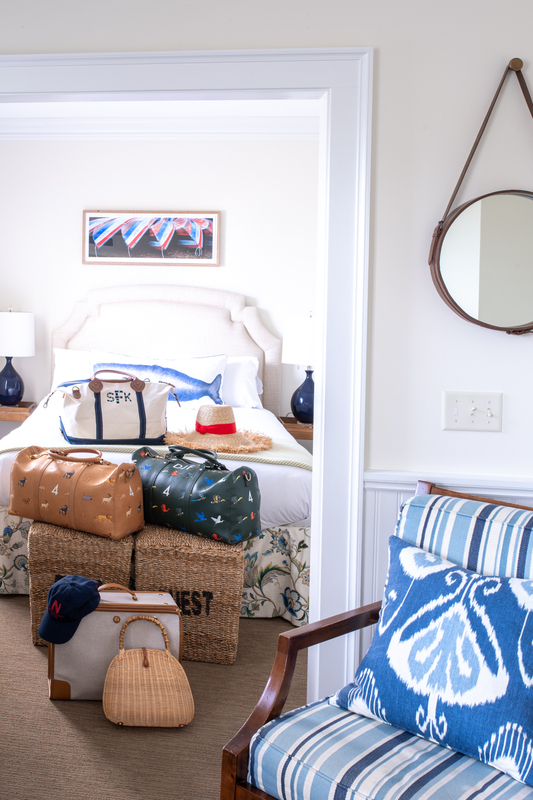 I love that Monogram Mary has so many different monogram designs to choose from and they’re entirely customizable with your preferred fonts, colors and images. I picked monogram style 14 which looks like bamboo links in kelly green and navy. 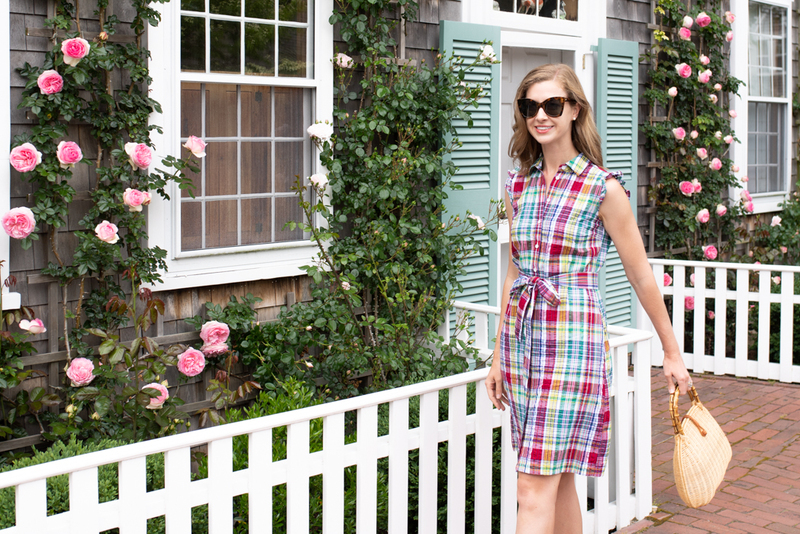 The best time to visit Nantucket is undoubtedly July when all the roses are in bloom. At the beginning of our trip most bushes hadn’t bloomed yet, except for this house near Lily Street which looked radiant covered in pale pink climbing roses. Each flower had double the petals of a normal rose and smelled glorious! I love the fit of everything in Brooks Brother’s youthful Red Fleece collection and the price point ($58!) is amazing for such high quality fabric and construction. My bamboo handle bag is sold out online but I linked a similar style above. The last night of our stay we were just settling into the sofas at Galley Beach when our friend Drew called and said he had a boat for the evening. 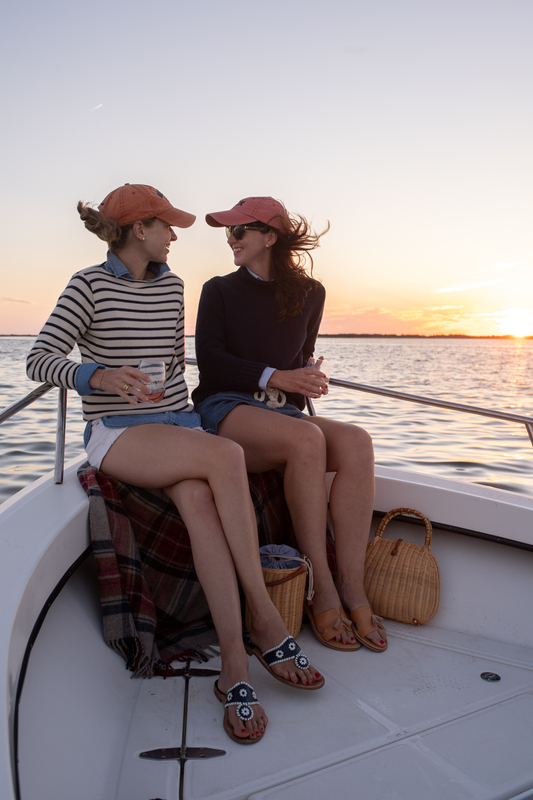 We put down our menus and raced to the docks by Children’s Beach to hop aboard for a sunset cruise. 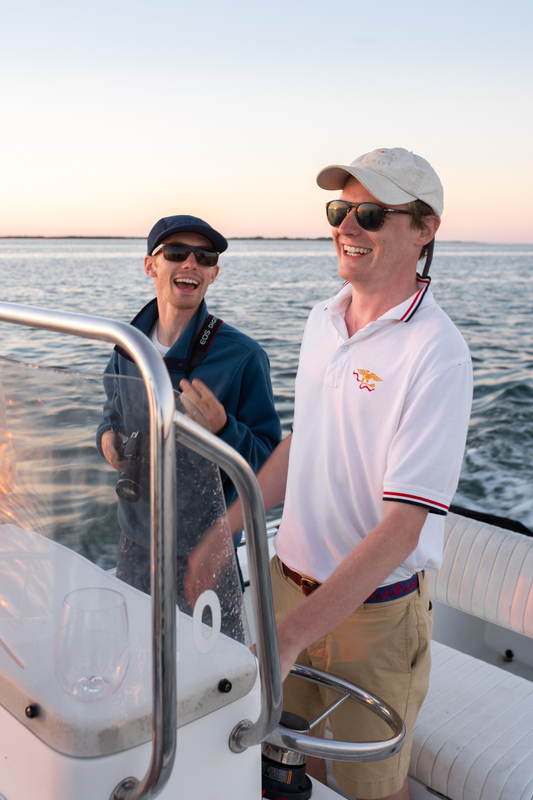 Drew had bumped into old college friends who were honeymooning on island and our merry band had the best time meandering around the harbor as the sun dipped behind the horizon. 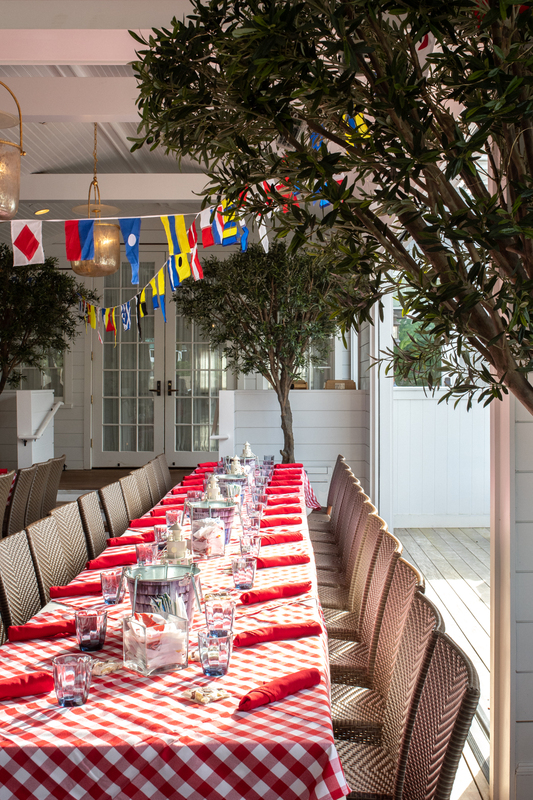 PSA: If you do bring your car to the island, be sure to plan ahead and book a reservation for your vehicle. There are limited ferries each day and when we first looked one week before our trip I was shocked to discover there were no reservations available for 2 months! We were fortunate enough to be able to get our car on island by waiting on standby, which meant arriving at the terry terminal at 5am and waiting 6 hours in the parking lot for an available spot on the ferry. It worked out well in the end, but learn from our mistake and plan ahead! 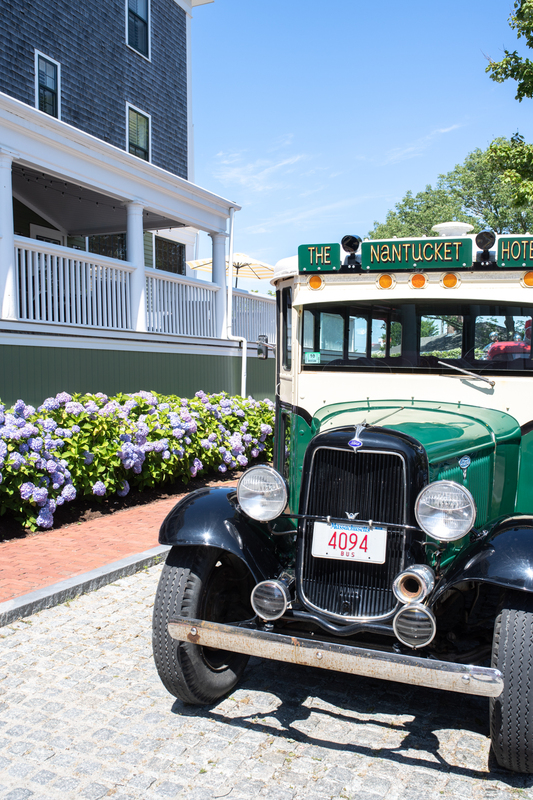 Thank you to Jamie and all our new friends at The Nantucket Hotel for the memories and partnering on this post. We love you guys! 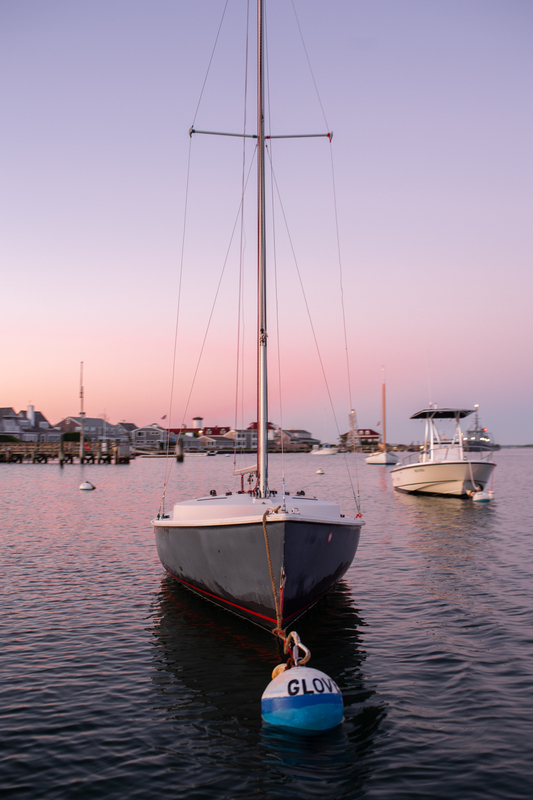 Nantucket looks like such a wonderful place, I’d love to visit one day!